Use this guide to check for some basic parts of your plumbing that have a huge impact on your home. 1. Boiler and Water Heater: Your boiler and water heater are two of the most important centers for your plumbing. It is also generally a good idea to flush your water heater at least once a year, as sediment can build up in the bottom and lead to inefficiencies at best and leaks/damage at worst. It is usually best to have a certified technician examine these two vital parts of your plumbing system. 2. Valves: Valves are another very important part of your plumbing system. In the event that you need to shut the water off in your home (because of a leak or other type of damage) you need your shutoff valve to function correctly to minimize damage and keep you safe. To test the shutoff valve, simply turn off your water and then turn your water back on (just like troubleshooting a computer). Make sure that the valve is able to close and open and is free from any corrosion or other damage. 3. Leaks: Leaks are one of the most dangerous risks to plumbing systems and homes alike. Even though leaks do not have a central location, be sure to keep an eye out for any potential leaks by keeping an eye on your walls and ceiling. If you begin to suspect that you might have a leak, address it sooner rather than later to minimize your risk of expensive damage. There are also automatic water shutoff valves and water leak detectors available that will help to detect and protect you from leaks. 4. Old or Malfunctioning Fixtures: Generally, the lifespan for plumbing fixtures like toilets and sinks is around 12 years. After this time — or if you are experiencing inefficiencies or other issues — it is best to examine these appliances and either make repairs or replace them. There are many new water and energy-efficient appliances available that will not only give you better results, but also keep your utility bills down. Be sure to keep an eye out for any issues, as you are probably best off upgrading gradually rather than all at once. 5. Low Water Pressure: Low water pressure is often a sign of a leak or clog in your plumbing system To test for low water pressure, turn on both your sink in your kitchen and the sink in your bathroom and see if the pressure is affected. If the pressure of water decreases as you open the second tap, have a plumber analyze your system for leaks. 6. Drains: Clogged drainpipes can often be easily avoided by regularly cleaning your drains with an eco-friendly drain cleaner. One easy way to clean your kitchen garbage disposal is to send some ice through it to clean out any grease that may have accumulated inside. The ice will then melt, leaving your plumbing clear of any obstruction. Also, be sure to look for bubbles escaping up from a drain while water is trying to go down, as this could indicate a drain vent problem. 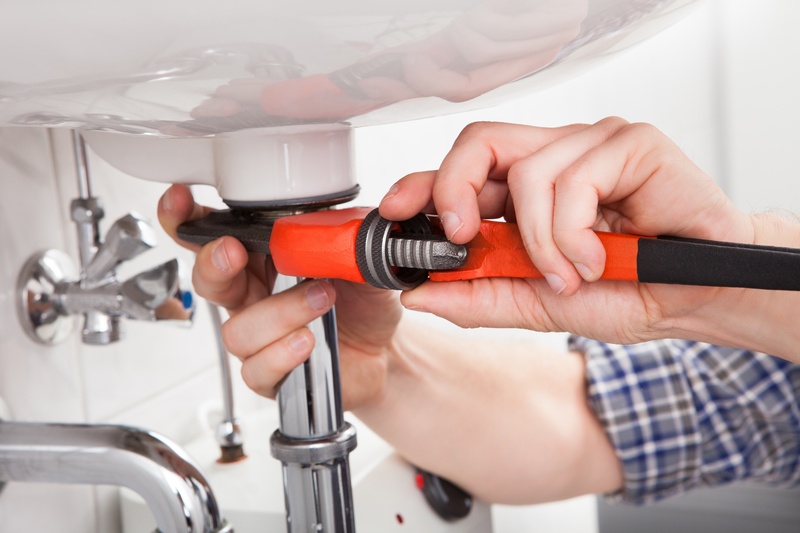 If you need any assistance in maintaining your plumbing system, call Warner Service to have a certified technician take a look at your personal plumbing setup to get your home’s water flowing freely again!